Co-founder of the Black Panther Party, Huey P. Newton, began answering a calling to serve the community long before the Party was officially created. So, once the Party was established in 1966, Newton was somewhat accustomed to serving the people. Community service was the Party’s footing. According to Newton’s doctoral dissertation, "War Against The Panthers: A Study of Repression In America," the Party was formed as a unit of poverty-stricken blacks and persons united by the same ideal, which Newton called, “revolutionary intercommunalism.” Newton’s firsthand experience with poverty and its corollaries shaped his thoughts and ideals, which, along with the experiences of the community and its proximity to poverty as well, produced the Panther’s survival programs. For example, the Party’s 10-point platform was culled from a list of complaints from Oakland, Calif., residents, who wanted protection against police brutality, land, bread and clothing, to name a few. One of the less-talked about contributions of the Party, in popular discourse, is its organizing and work around health care. The Panthers fought to protect blacks and other marginalized populations from dangerous medical research like UCLA’s plan to establish the Ronald Reagan Center for the Study and Reduction of Violence, which wanted to test inner city children for genetic defects. The Party also established health care clinics for blacks in the community and worked to raise awareness for sickle cell anemia, a disease that predominantly affects people of African descent. Columbia University professor of Sociology and Gender Studies, Alondra Nelson, author of "Body and Soul: The Black Panther Party and the Fight Against Medical Discrimination" examines, there and here, BPP health clinics, discrimination, clinic sustainability and their residual affects on society today. Prof. Alondra Nelson: The situation of the conditions that lead to the creation of the Black Panther Clinics can be thought of in two ways. One was the actual experience of the membership and the leadership of the rank and file members of the party. Their actual individual experiences [were] with the mainstream medicine, so we have to understand that part of the response to medical discrimination was not dissimilar from their response to police harassment. So, we might want to think of them as the Black Panther Party engaged in medical self-defense. So, like with police harassment, the Party starts initially policing police. They were also sort of identifying the inadequacies of mainstream [medicine], of how the poor in black communities ... of how these people were being treated unfairly, mainly at [the] hospitals and clinics they went in, because they were black or because they were poor, or both. I write a little bit about black women being subjected to forced or coerced sterilization or not getting good reproductive health care. They [Black Panthers] were aware; they had their eyes on the needs of the community. It was part of what the Party was about. It’s the same way that they were looking at the institution of criminal justice and the police; they were also looking at health care as one of the needs of the people of the community that they wanted to attend to. And, you see this reflected a little bit in the Party’s founding Ten-Point Platform -- that there is an articulate vision about social welfare issues. They say that people should have land, food, health and justice. So, social welfare was always part of what the Party was doing. So, at the same time, I think that what made these concerns more pressing or not pressing was the individual spirit of the members of the party. In 1967, for example, Huey Newton had quite an infamous shootout with Oakland police. At one point, one officer was injured, one officer was killed and Huey Newton is wounded as well; he’s shot in the stomach. Court transcripts from his account appear, among other places, in Joan Didion’s collection of essays, "White Album," [where] she quoted excerpts from them. Newton talks about the nurse on duty at Highland Hospital in Oakland, on the night that Newton comes in. Her account talks about Newton writhing in pain on the gurney. It tells us that Newton was handcuffed to the gurney. So, Newton experienced being treated inhumanly in the hospital. The assumption was that he had to be chained down to the gurney. The nurse talks about Newton saying, ‘I’m really in pain, why won’t you help me? Can I have some medicine? Can I see a doctor?’ And, the nurse says, ‘Well, I needed to find out first whether or not you’re covered by our health insurance plan.’ And, she says to him, ‘Are you a member of the Kaiser plan?’ Newton says, ‘Yes, I am, but that shouldn’t matter. I need to see a doctor. Get someone to get me some help.’ They go on and on and fundamentally she doesn’t believe that he is a member of the Kaiser Insurance Plan. And, in fact, she finds out that he is. And, so that scenario in 1967 tells us that Newton understood from experience that there was a way in which a black man or black person in a hospital was never a sympathic figure. He could never be a sympathic patient. I think we need to imagine that experience of Newton very much shaping how he thought about health care, that black people might be treated. So, that was for sure. By 1969, there were starting to be articles that the Panthers are starting a health program. And, in the newspaper, The Daily World, there is an article that appears that’s called, “The Panthers Now the Peoples Health Plan.” And, part of what they’re saying is, ‘We need health care for ourselves. We are people who are working in the community. Working 18-, 20-hour days, we’re getting sick, we’re not taking care of ourselves, we’re stressed out.’ There were just things that they needed for themselves as activists. And, this is something that we see with today’s activist. I think that the 21st-century activists are a bit wiser about this: they’re activists who want to talk about the health care that they need for themselves, so, that they can do the work that they want to do in the world. So, part of what the Party is articulating when they’re first mapping out the expansion of their social welfare programs and the expansion of health in particular is the recognition that they need health care for themselves, health care facilities, health care services, the focus of medical research, which at the time was neglecting things like sickle cell anemia, a disease that predominantly affected [people of] African descent. Sustaining the clinics was difficult. 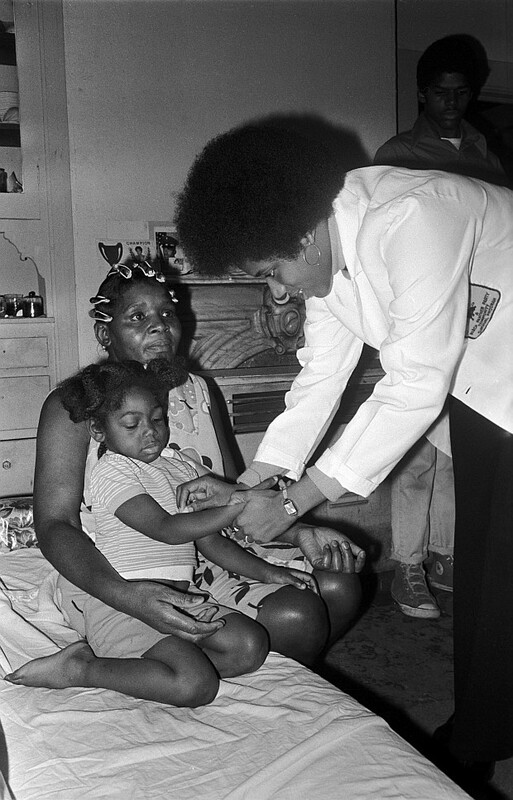 In the 1970s, Bobby Seale sent a mandate to all of the Panther chapters that says, ‘if you’re going to have a declaration, if you’re going to be a chapter of the Black Panther Party you have to sell the Black Panther Party newspaper, you have to have a Free Breakfast for Children Program, and you have to have a clinic. So, all of the money from the newspaper went to the central headquarters, it didn’t go to the local chapters. The central headquarters didn’t provide resources for them to set up the clinics; they just told every chapter that they had to have them. One of the things that I say often when I’m talking about the clinics, in some ways I think that the clinics and the breakfast programs are the most grassroots manifestation of Panther’s work, because it really has to come out of the network and human labor of rank and file members of the Party and individual clinics. Leadership can meet the rank and file on how to frame issues of medical discrimination and how to frame issues of medical neglect. But, sentimentally these clinics were responding to local needs and they were local institutions and community based institutions and they also had to mobilize local resources. Unlike other forms of activism, health activism often required that you collaborate with health officials. You can’t just put up a clinic and not have someone in the clinic that doesn’t know anything about health care. So, there were nursing students, medical students, doctors and nurses who were also working with the clinic. But, they were also committed to training rank and file members of the Party and people in the local community to do basic health care service. So, the evidence varies about how the Panthers supported their clinics. Some of them just didn’t do that well because some communities just couldn’t pull it together. There’s evidence that Pete O’Neal worked with a white physician by the name of Michael Wilkins, who worked to get a clinic to together, but they never quite pulled it off. They didn’t have the people, [or] the money they needed to pull it together. And, places like Chicago had a very sophisticated clinic. They had different examination rooms, they had a whole system of triage, and they could actually do care in the clinics themselves. And that’s because they really happened to have a network of activist who wanted to work in the clinic and they also had a multiracial network of radical activists, doctors, health and medical physicians, including a white doctor by the name of Clinton Young, who had been a member of that organization and he worked on the Freedom Summer campaign in 1964 as a student doctor. He came back to Chicago to work with Fred Hampton to establish that clinic with other members of the Black Panther Party. So, you know, they really pulled these clinics together the best way that they could. They were truly a manifestation of grassroots organization of the party politics and local endeavors. The Portland clinic became a project with the University of Oregon Medical School. They actually had two clinics in Portland, and, they also had a dental clinic that ran for four or five years, maybe longer. They may have changed the name from the Panther Clinic and became something else. But, because it had institutional support from the University of Oregon, I think it probably ran quite a long time compared to some of the others. We also know that the Seattle chapter ran a long time too. Well, after some of the Party chapters started to wane by the time you get to the late 1970s. And, it depends on how you want to answer the question and how you want to think about what is a Black Panther Clinic. 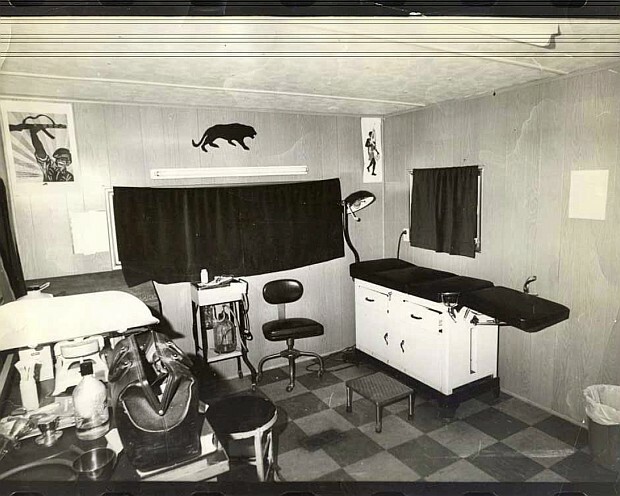 One answer to the question is that there’s a clinic in Seattle that’s still running today that some might regard as a Black Panther Clinic. It’s still in the neighborhood where the Black Panther Clinic was and it’s named for Carolyn Downs, a former member of the Party in Seattle, who had a successful clinic and died a couple years after it launched. So, that still goes on. One of the political and philosophical role models for the Black Panther Party was Chairman Mao of the Peoples Republic of China. Part of Mao’s cultural revolution was to sort of change the way the health care operated in China. And, that included the emergence and training of the members of society from people who were not the elite in any society who wanted to train these people called Barefoot Doctors. That was meant for two things; one, is that there are some Chinese medicine and daily practices that we should attend to and keep and we shouldn’t get rid of these practices and go to a Western scientific model. And, it was also the case that these barefoot doctors were meant to valorize the role of the people, as the people’s experience with illness as being important for the healing process. I think two or three Panthers go, between the course of 1970 and 1972, to China. And, during one of these tours, a doctor named Dr. Tolbert Small [went]. He never formally joined the Black Panther Party, but he worked with them for years. Dr. Small goes on one of these tours of China and he get’s introduced to acupuncture, a traditional form of Chinese healing and medicine. And, Dr. Small comes back to the U.S. and he opens the Harriet Tubman Clinic in East Oakland that still runs today.